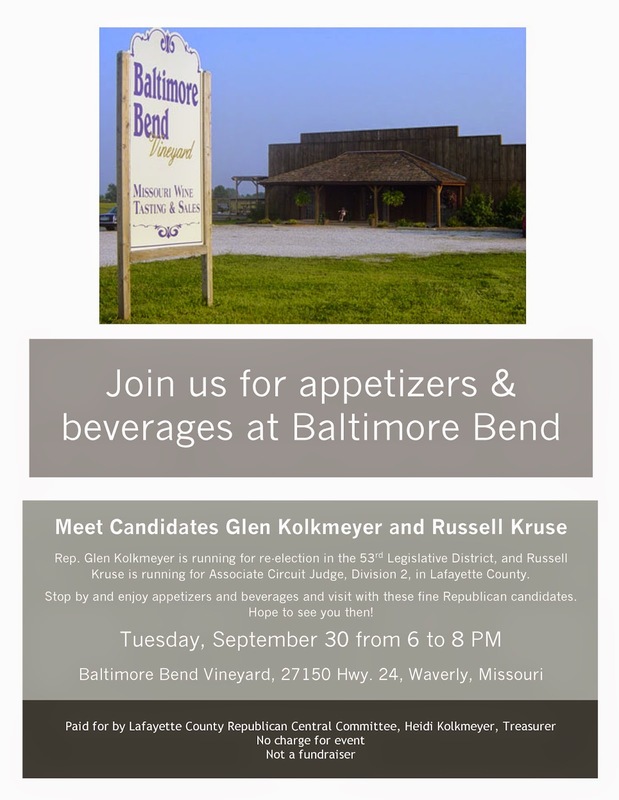 Please join us for a reception for Candidates Rep. Glen Kolkmeyer and Russell Kruse at Baltimore Bend Vineyard on Tuesday, September 30th. Come join us Tuesday, Sept. 30th and enjoy complimentary appetizers and beverages and meet these highly qualified Republican candidates--Rep. Glen Kolkmeyer, for 53rd. 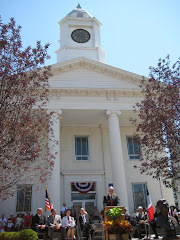 Legislative District, and Russell Kruse, candidate for Associate Circuit Judge, Division 2, Lafayette County.